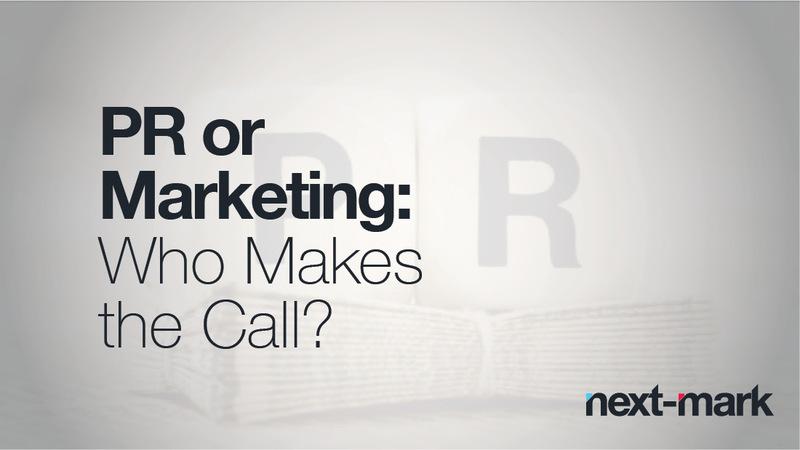 PR or Marketing: Who Makes the Call? Ask any PR junkie, and they’ll tell you that public relations is the umbrella that oversees marketing, strategic communications, social media and brand. Ask that same question to a marketing pro and you’ll find yourself with an inconsistent idea of who’s at the “top” of the chain. 1. Identify your audience. Remember the old 80/20 rule from business 101? 80% of your business comes from 20% of consumers. This trick remains the same when it comes to strategic PR and marketing, so stay ahead of the curve by identifying your target audience and tailoring your message to fit their interests. 2. Go digital. The digital age has arrived. With it comes websites, SEO, likes, followers, digital ads…the list goes on. With so many outlets to showcase your brand, it’s important that you go digital, but stay strategic. Start by identifying your audience and craft your digital strategy from there. You might think you need a presence on every social media platform, but that can be difficult to manage. So if your target consumers are mostly using Twitter and LinkedIn, then focus your digital marketing efforts on those sites. 3. Share relevant content. One of the biggest challenges for businesses in the digital era is staying relevant in a constantly changing sea of content. Start by researching the type of content that your audience is interested in, and begin to incorporate these themes into your blogs, posts and updates. Another rule of thumb is to share industry content two-thirds of the time, and company updates one-third of the time. Whether you’re developing your brand or launching a new campaign, these three marketing principles will help solidify your position as an industry leader. Does your digital marketing strategy need a boost? Contact us today to discuss how Next-Mark can help your business.